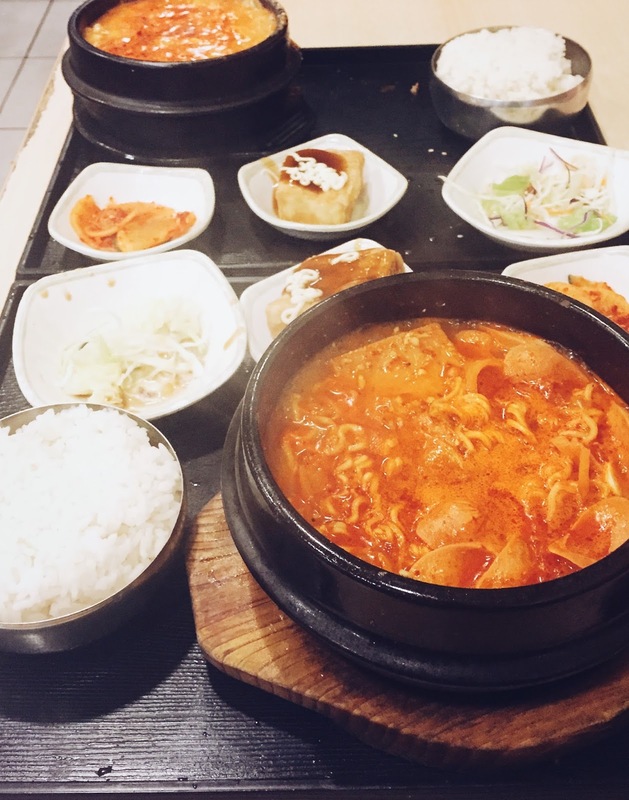 Cold weather is perfect for Korean food. Stews, hotpot, Korean BBQ, the whole lot! I started going to Let’s Bab a few years back, when one of my friend that lives in the area took me. The fact that the waiter and waitresses all speak Korean to each other is definitely a good sign. Each main dish is served in a tray with a trio of banchan. The tofu is my favourite, it’s kind of like agedashi tofu but with less batter, and is served with sweet soy and kewpie. Both the daikon kimchi and the coleslaw were unremarkable. Army stew is probably my favourite type of Korean stew. The little black stone bowl was filled to the brim with all sorts of goodies, sausage, spam, beans, sliced pork, tofu, cabbage and ramen. The soup was flavoursome with the right amount of hot pepper flakes, and it was very satisfying to eat. My mum opted for the spicy tofu and seafood stew. The stew was still bubbling away when it was served, and the large blocks of tofu was all we could see. 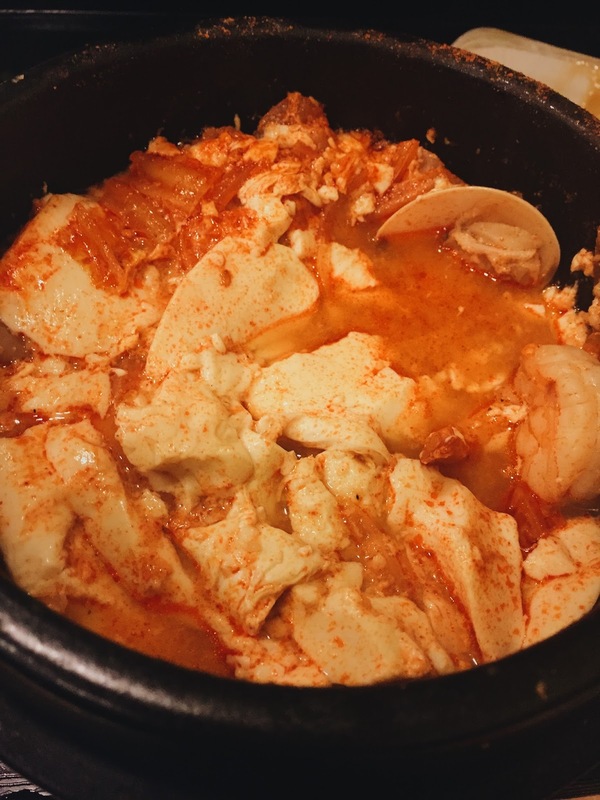 But once some tofu had been eaten, plenty of prawn, cockle, kimchi, octopus and onion was found, along with an egg! The broth had a distinctive seafood aroma, with some acidity from the kimchi, it was very tasty. 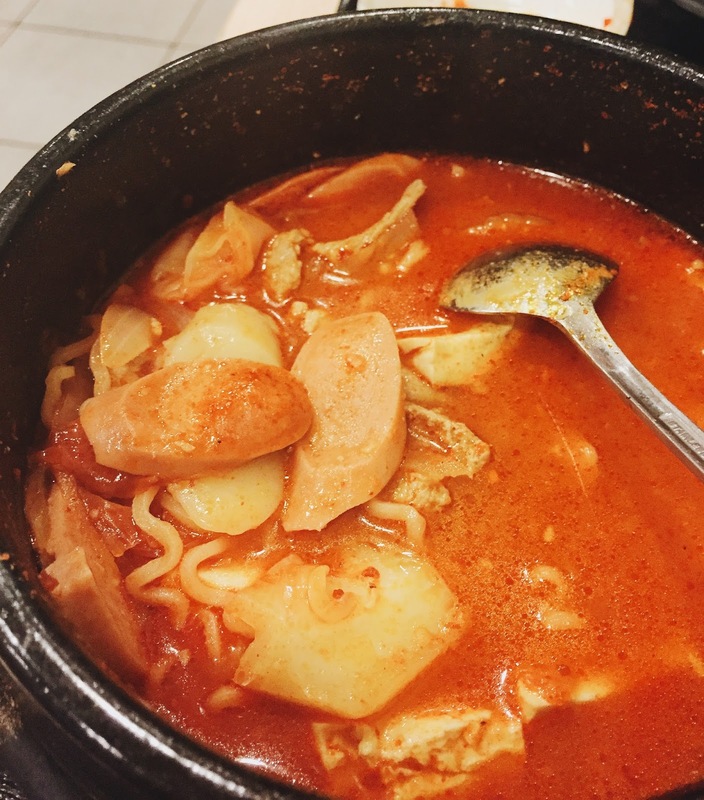 Let’s Bab is probably one of the more popular Korean restaurants on the strip on Warrigal Road, and with most of the items on the menu a little over $10, it’s not hard to see why. Service was very minimal, you have to grab a menu yourself and order at the counter, then collect your own cutlery and water. 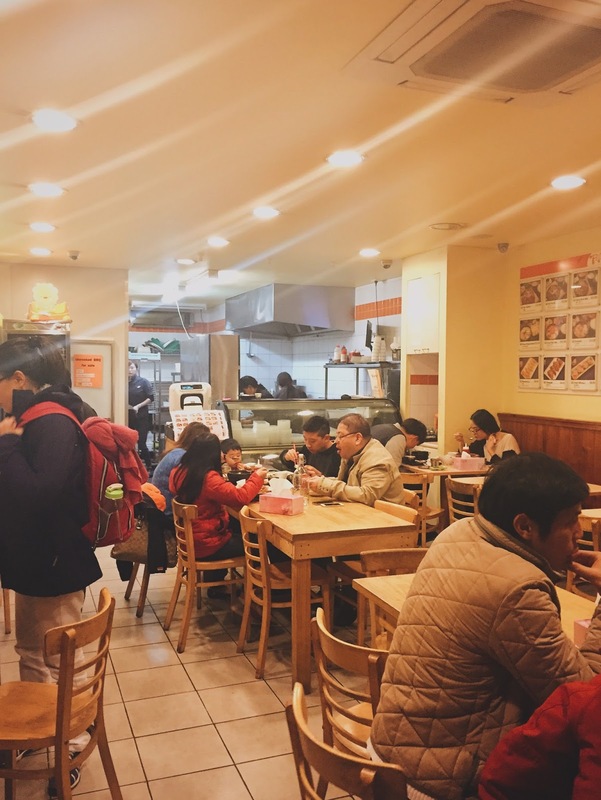 It can get quite busy during dinner time, but the turnover is quite fast, so don’t worry if you don’t get seated straight away! Let’s Bab is located on Warrigal Road, just opposite Homesglen Station, which is on the Glen Waverley line.